Zimbabwean international Knowledge Musona scored a brace as KV Oostende beat Standard Liege in the Belgium Pro League yesterday. KV Oostende won the game 4-2. 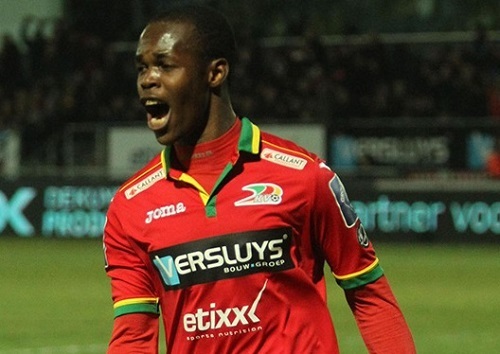 Musona grabbed the 2nd and 3rd goals for KV Oostende in the 31st and 50th minute of the game. The brace allowed Musona to put his season tally to 8 goals. Musona is two goals behind three players who lead the goal scoring charts with 10 goals each. The win puts KV Oostende in 2nd place close to log leaders Gent who have a five point gap at the top after two games. Musona’s exploits come after a successful weekend for other Zimbabwean international. On Saturday Willard Katsande scored in Kaizer Chiefs win over Bidvest Wits while Khama Billiat scored and provided an assist as Sundowns beat Orlando Pirates.